This immaculate home is located in the prestigious, an exclusive golf course guard gated community Big Canyon. Excellent location across the street from the Newport Center business center & Fashion Island shopping center. Award-winning schools, famous beaches & City Hall just a few minutes away. Starting with an extended courtyard entry leads to a beveled glass front door. Leading to the gracious living rm, which has high ceiling windows that absorb all light & the unblocked view of the magnificent pool & This immaculate home is located in the prestigious, an exclusive golf course guard gated community Big Canyon. 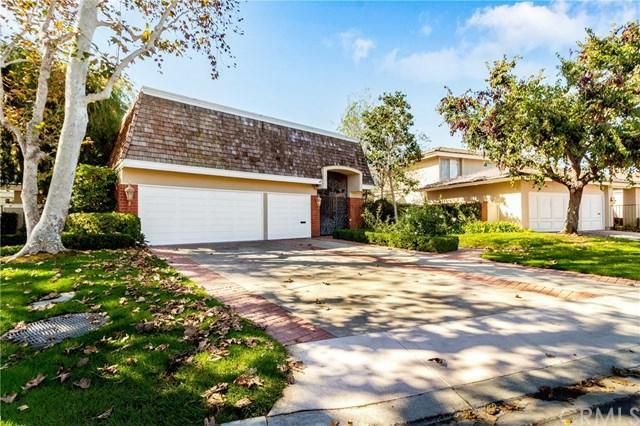 Excellent location across the street from the Newport Center business center & Fashion Island shopping center. Award-winning schools, famous beaches & City Hall just a few minutes away. Starting with an extended courtyard entry leads to a beveled glass front door. Leading to the gracious living rm, which has high ceiling windows that absorb all light & the unblocked view of the magnificent pool & spa. This is home is boasting the highly sought Versailles floor plan, it offers spacious master suite w/walk-in closet on the main level & the skylight is in the master bathrm & custom built-in cabinet & oversized bathtub, dramatic 2 story high ceiling, spacious living spaces, beautiful cast stone fireplace in the living room & library/office, formal dining rm. The gourmet custom designed kitchen with top of the line appliances & rich highlight custom cabinetry, the oversized center island which is good for the entertainment and party. There is another master suite also on the main level. Individual laundry rm leads to the epoxy floor 3 car garage. Additional two master suites with the balcony on the 2nd level. Ample sized the bathroom w/ separate bathtub &shower in one of the 2nd level master suite. Breathtaking approximately 10150 SQFT backyard w/stunning pool & spa which are good for gathering friends & family entertaining. Come & see & you wonÃƒÂ¢Ã¢â€šÂ¬Ã¢â€žÂ¢t be disappointed! Listing provided courtesy of Bobohomes Realty. Listing information © 2019 San Diego MLS, Inc.